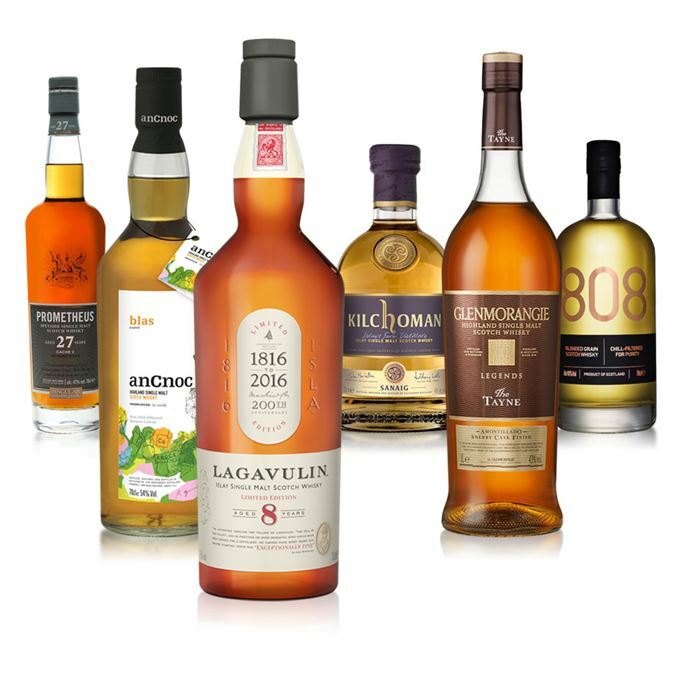 Dave Broom discovers an assorted pick 'n' mix on his plate with this week's bag of new whisky releases, including a Sherry-influenced Kilchoman, a non-anCnoc anCnoc, a youthful Lagavulin and a blended grain that takes him back to his raving days. Initially, this is quite grainy, in the granular sense, with more than a hint of freshly starched linen, but then soft, creamy, lemon-accented elements begin to emerge and steadily but subtly build into chocolate mint ice cream, and toasted (pink) marshmallows. It needs time, but not water which lightens it too much leaving you with a spent Roman candle fizzing on the grass. Sweet to start with plenty of Dolly Mixtures, and bubblegum. Light all the way but softly balanced in the middle. 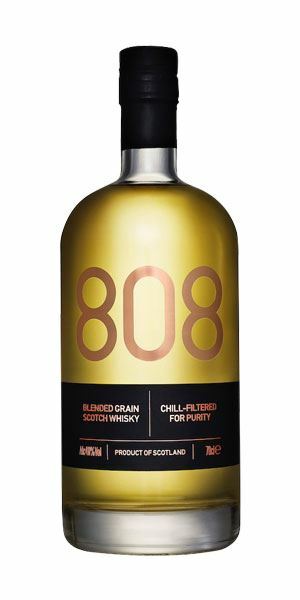 A grain whisky aimed at the nightclubs and named after the legendary Roland 808 drum machine. It does exactly what it sets out to do, and does it well. I’d have a shot or two if my raving days weren't long gone. Guess where? You say don’t know the 808? Oh yes you do. or this, made by Richie Hawtin who, weirdly, was on a sake masters’ course with Jonathan ‘JD-DJ’ Driver, one of the founders of the brand. Did it all start here? 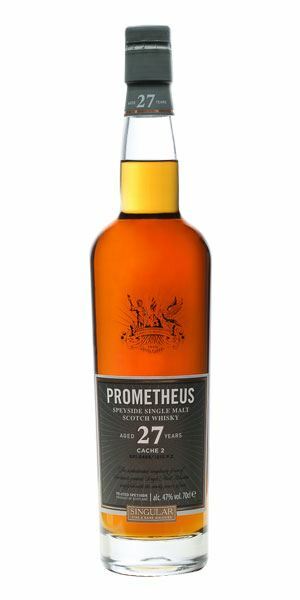 A surprisingly funky start, suggesting a fair whack of Sherry influence, a hint of smirred tweed, walnut shells, but light touches of the green fragrant freshness more typical of the distillery, then old cellars. With water it changes again with smears of citrus-scented handcream, and light sulphur. Intense and explosive (it is 54% after all) and an inversion of the nose with all of the funky cellared foostiness being replaced by a highly fragrant mix of dried rose petal, sultana and nuts (energy bar). Tannins are quite firm. With water it becomes richer, fruitier, more peppery. It also has a dramatic louche. A strange and shifting mix of the fungal and the lifted, the syrup and the nut. 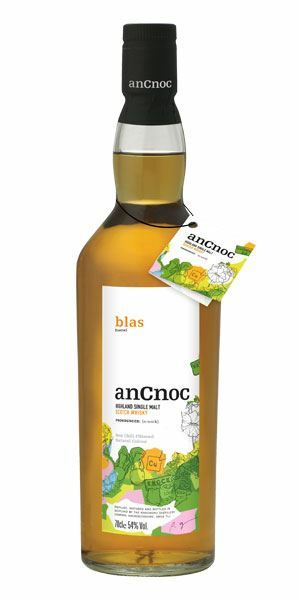 Oddly likeable and pretty non-anCnoc. You emerge from the wine cellar slightly befuddled by Sherry and trip over the lawnmower box which the gardener has forgotten to tidy away. A fat, sweet, and pretty muscular Glenmo’ with more than a fair share of timber yard aromas: sawdust, hot circular saw, freshly cut wood. This is backed with marzipan, passion fruit yoghurt, tinned peach and with water a little touch of chestnut puree. Luscious, but oaky. Thick and upfront with decent structure and an amply fleshed-out middle which rapidly shifts into mace-like spiciness, then dry wood. Towards the back you get roasted nuts and some dried fruit. I like the textured fruit elements but am less sure about the grip especially when water is added. Best neat. 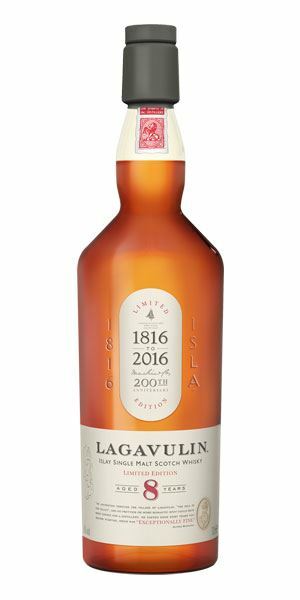 LVMH were strangely reluctant to part with a sample of this amontillado cask finished dram, so we purloined one from travel retail, where it’s an exclusive. A fair dram, but the wood is mighty. A sweaty lumberjack felling a peach tree. Typically sweet Kilchoman, with the smoke well integrated and actually quite low in the mix, giving way to Victoria plum, preserved lemon and sea breezes, with just a whiff of lavender bushes and ylang ylang. Becomes fruitier showing elements of tayberry. The oily peat comes through with water, alongside waxed jacket. …before smoke and a bracing acidity rounds things off. 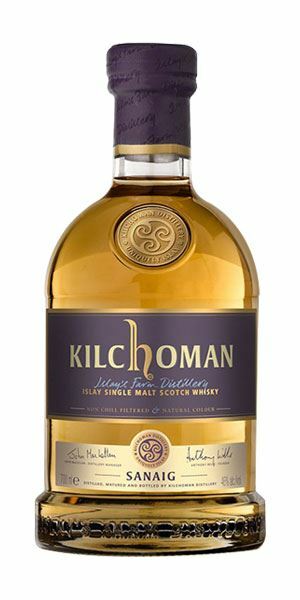 The new permanent addition to the Kilchoman range mixing Bourbon cask matured whisky finished in Sherry hoggies and some fully matured in oloroso butts. Nicely balanced. If I’m being picky it might need a little more mid-palate weight. As solid as ever. Little Jack Horner sitting next to the peat fire. The colour of Donald Trump’s face, but infinitely more pleasant and complex. 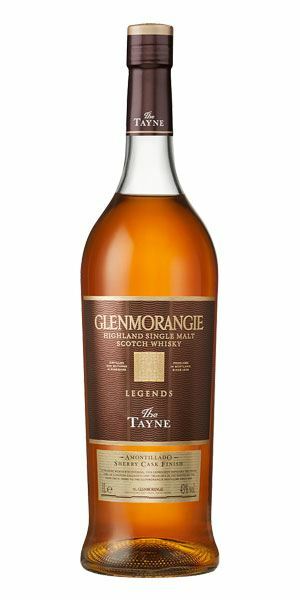 Elegant with the haunting character of gently aged whisky – oily, yet sweet; tropical fruits, blackcurrants, plantain, dried pineapple, and then pews and leather-bound bibles. All the time the gently generous waxy rancio builds. With water, a shoeshine stand, chocolate and apple. Classy (so not like Trump). Big with obvious structure from the off. While there is some heft from the fruity core, the oak’s hand is quite firm. You’ll pick up a little Seville orange, and apricots dusted with ras el hanout, but it’s dry. Water softens the grip, but ups the spice and brings out a light hint of smoke. A really fantastic nose which helps to make up for the slightly dry palate. It’s a hoor of a price though and is marked accordingly. In the souk, a Moroccan feast is laid out in front of you. Batch 32 11/03/2016 Two Craigellachies, Springbank Local Barley, Macallan Edition No 1, Wolfburn and Shetland Reel. Batch 30 26/02/2016 Smoky drams from Ledaig, Bunnahabhain, Elements of Islay and Rock Oyster, plus Jura and Strathmill.